Darren Price of Right Price Companies introducing Senator Gillibrand. 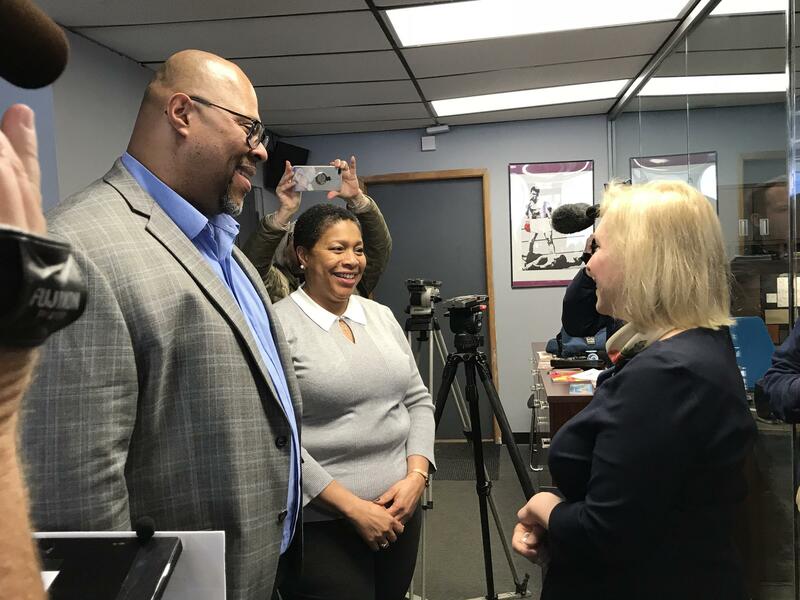 Senator Gillibrand said today that she has visited all of New York’s counties. She said a need she has seen over and over is a way for small businesses to have better access to capital, specifically micro loans, but business that are just starting out often times don’t have the credit to get loans from the bank. The legislation is called the Microloan Modernization Act and it will help expand the Small Business Administration’s microloan program. The legislation will expand the New York SBA’s microloan program of five to six million dollars and ensure the loans are going to diverse entrepreneurs. Darren Price is the COO of his family owned manufacturing company, Right Price Companies. He said having readily available microloans means he can commit to larger jobs, protect his work force, and continue to grow his company. 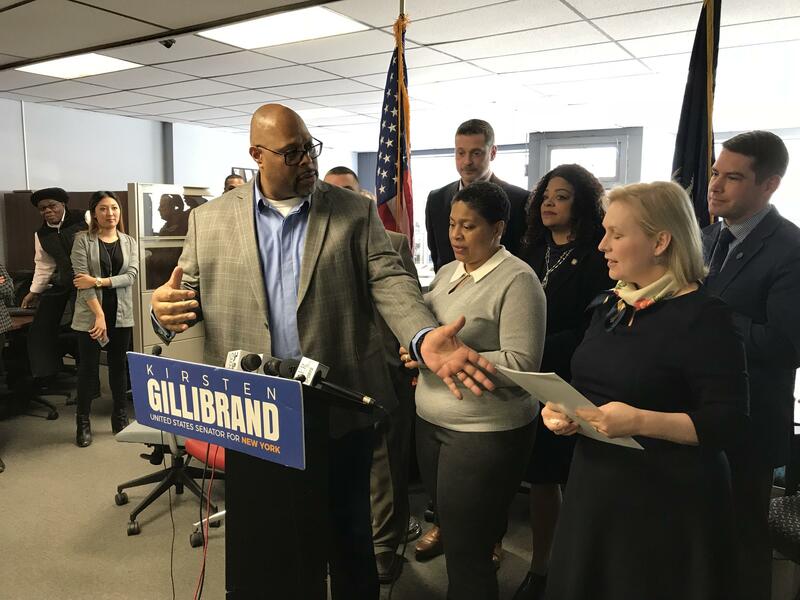 The legislation has not passed yet, but Gillibrand said today that she has bipartisan support in the Capitol.